The Brute Force manual swimming pool cover pump can remove up to 1250 Gallons Per Hour from your winter pool cover. Attach a garden hose to the hose adapter fitting. Set the release end of the discharge hose to the area you want to move the unwanted water. Place the Brute Force pump in its desired location then plug the power cord into an approved electrical outlet and begin operation. This pump will not turn off or on automatically so the pump MUST be checked periodically to insure there is at least ¾ of an inch of water to be pumped at all times. Once the water level reaches less than ¾ of an inch the pump should be unplugged to prevent the pump from running dry. 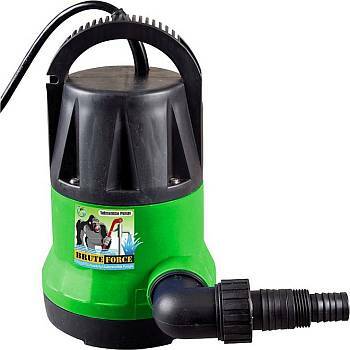 This powerful 1/3 HP cover pump will drain your cover quickly and only weighs 10 lbs. 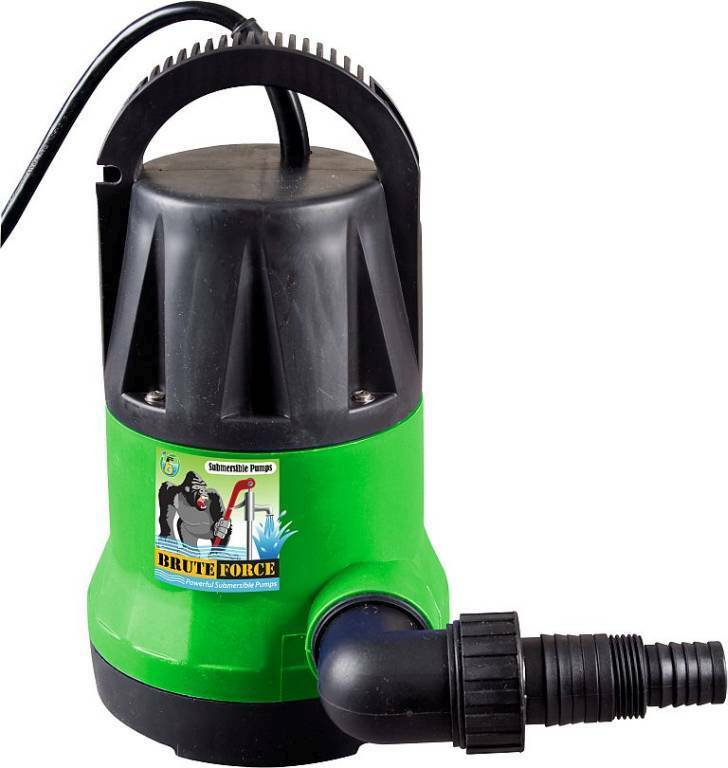 You can use it to pump off your winter cover, pump water out of your basement, pond or a variety of other places where unwanted water has collected. 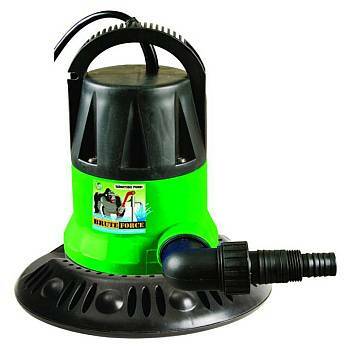 The pump is fully submersible, clog-resistant, and it will remove water to within 3/16" of any surface. Comes complete with garden hose adapter and 33-ft. cord. 110-120V AC. UL listed. 1-Year Warranty. To give your Brute Force cover pump more stability on solid winter covers - add our universal, low profile pump base. Easy snap on design fits either of our Brute Force Cover Pumps.